SoLaHmo is a community-driven program of West Side. Most of the community researcher are Somali, Latino, and Hmong (or have come from Somali, Latino, and Hmong communities). While historically, SoLaHmo has been made up of Somali, Latino and Hmong community members, more recently community researchers from additional ethnic communities and communities of identity have joined us for specific research projects relevant for their communities. SoLaHmo is a community-based participatory action research group where community members, researchers, and healthcare providers can work together to make a difference in community health by tapping into community strengths and wisdom while preparing community members to be equal partners in research. We build upon the unique cultural strengths of Somali, Latino, Hmong, and other communities to promote health and wellness through community-based participatory action research (CBPAR), education, and policy. More CBPAR info. We are dedicated to the reality that Somali, Latino, Hmong, and other communities have the knowledge, skills, and power to participate as equal partners with researchers and healthcare professionals to maximize community health and wellness. 2008 – Held dialogues with Somali, Latino, and Hmong community. Supported by Blue Cross-Blue Shield Foundation of Minnesota to create an asset framework for the Hmong, Latino, and Somali communities. Conducted 2-3 dialogues per community with a total of 72 participants in West Side’s patient area. 2009 – Conducted empowerment education with 10 community members to become Community Researchers in CBPAR. 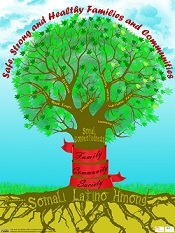 2010 – Conducted a strategic planning process with Somali, Latino, and Hmong community members, which formed SoLaHmo. We choose projects, design methods, collect and analyze information, interpret findings, and design/implement actions with activities based on this understanding. CBPAR Partnerships can address and redress health disparities: Voices from SoLaHmo – Culhane-Pera KA, Pergament SL, Ortega LE, Thao MS, Dhore N. MetroDoctors 2014; 16(5):23-26. Facilitating Research Faculty Participation in CBPR: Development of a Model Based on Key Informant Interviews – Allen M, Call K, Pergament S, and Culhane-Pera KA. Clinical and Translational Science. 2010;3(5):233-237. Partners in Research: Curricula to Prepare Community and Faculty for CBPR Partnerships – Allen ML, Culhane-Pera KA, Call KT, Pergament S. (2010) CES4Health.info, 2011. 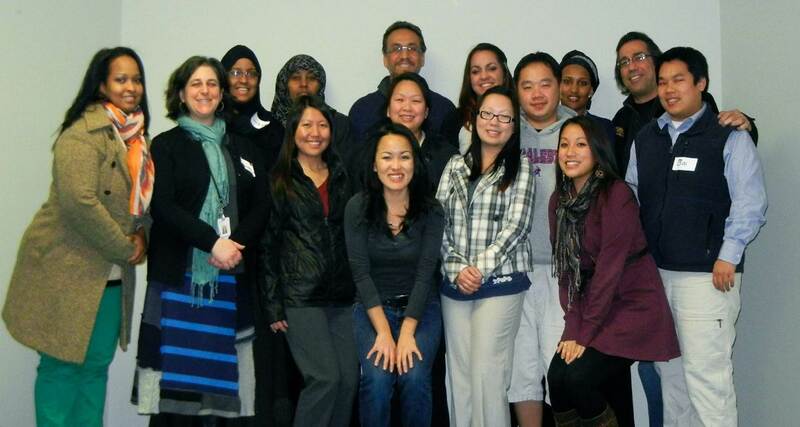 Improving Immigrant and Refugee Health in Minnesota with Community-based Participatory Action Research – Culhane-Pera KA, Allen M, Pergament SL, Call K, Adawe A, dela Torre R, Hang M, Jama F, Navas M, Ortega L, Vue P, and Yang TT. Minnesota Medicine. April 2010: 54-57. Family Matters – Examining unanswered questions about the home environment and childhood obesity disparities using an incremental, mixed-methods, longitudinal study design: The Family Matters study – Berge J, Trofholz A, Tate A, Beebe M, Fertig A, Miner M, Crow S, Culhane-Pera K, Pergament S, Neuwmark-Sztainer.Contemporary Clinical Trials. August 2017:62. Interdisciplinary and Multisectoral Action to Address the Social Determinants of Health – Culhane-Pera K, Hang M, Millien C, Ortega LE, Pergament S. Bridging Clinic and Community. Social Medicine Consortium 2016 Conference: Reimagining Social Medicine. April 30, 2016. Community Participatory Research by Somali, Latino, and Hmong Communities: SoLaHmo – Pergament S, Ortega L, Ahmed A, Hang M, Navas M. Teenwise Minnesota Annual Conference. Brooklyn Center, MN. May 6, 2011 (Workshop). Somali, Latino, and Hmong Parental Perceptions and Practices of Raising Healthy-Weight Children – Arcan C, Pergament S, Rosas-Lee M, Ortega LE, Thao MS, Xiong MB, Vang C, Culhane-Pera KA. 2012 Summit on the Science of Eliminating Health Disparities. National Harbor, MD. December 2012. Report from NIH Grant – Allen M and Culhane-Pera KA. Partners in Research. North American Primary Care Research Group Annual Meeting, Seattle Washington, November 15, 2010. Partners in Research: Maximizing Immigrant and Refugee Health through Community-based Participatory Action Research – Allen M and SoLaHmo members. Partners in Research Meeting – National Institutes of Health, Bethesda MD. October 25, 2009. Healthy St. Paul Families: Utilizing Somali, Latino & Hmong Cultural Assets to Promote Healthy Diet & Physical Activity – Hang M, Omaar L, Ortega LE, and Pergament S. Many Faces of Community Health Conference. October 25, 2012. Somali, Latino, and Hmong Parental Perceptions and Practices of Raising Healthy-Weight Children – Rosas-Lee M, Arcan C, Pergament S, Culhane-Pera KA. University of Minnesota Community of Scholars Program. October 19, 2012. A Qualitative Study of Families of Children with Autism in the Somali Community: Comparing the Experiences of Immigrant Groups. McAlpine DD, Egal M, Pergament S, Novillo W, Yang MK. Barriers to early identification and access to services for children with autism: experiences of Somali, Hmong, and Latino families in Minnesota. LEND Brief: ASD and Culture. Spring 2015: 21-25. Cultural Strengths and Assets of Somali, Latino and Hmong Communities – Vang C, Hang M, Abdullahi S, Adawe A, Ahmed A, Anglin L, De la Torre R, Geele W, Lanata G, Lor S, Navas M, Ortega L, Robles C, Santos J, Thao MS, Vang P, Vue PC, Warsame K, Xiong MB, Culhane-Pera K, Pergament S. Essentials of Clinical Medicine. University of Minnesota. Poster Session. March 2012. Somali, Latino and Hmong Radio Stories about Children’s Healthy Eating & Exercise: Findings from a SoLaHmo Pilot Study – Serrano L, Arcan C, Culhane-Pera KA, Pergament S, Adam K, Chang XGS, Dhore N, Dualeh H, Hang M, Ly N, Navarrete M, Omaar L, Ortega LO, Rosas-Lee M, Thao MS, Vang C. International Society for Behavioral Nutrition and Physical Activity (ISBNPA) San Diego, May 21-24, 2013. Somali, Latino and Hmong Radio Stories about Children’s Healthy Eating & Exercise: A SoLaHmo Pilot Study (Findings) – Serrano L, Arcan C, Culhane-Pera KA, Pergament S, Adam K, Chang XGS, Dhore N, Dualeh H, Hang M, Ly N, Navarrete M, Omaar L, Ortega LO, Rosas-Lee M, Thao MS, Vang C. 2013 Poster Session and Awards Dinner “The Power of Partnerships.” St. Paul, MN. November 20, 2013. Somali, Latino and Hmong Radio Stories about Children’s Healthy Eating & Exercise: A SoLaHmo Pilot Study (Methods) – Serrano L, Arcan C, Culhane-Pera KA, Pergament S, Chang XGS, Dhore N, Dualeh H, Hang M, Ly N, Navarrete M, Omaar L, Ortega LO, Rosas-Lee M, Thao MS, Vang C. Discover through the lens of innovation: CTSI 213 research conference. Mpls, MN. October 1-2, 2013. University of Minnesota Program in Health Disparities Research, PHDR Resources for Community-based Research, PHDR Resources Co-developed with SoLaHmo Partnership for Health & Wellness. University of Minnesota CTSI Resources for Community-Engaged Research. What Drives an Intervention’s Success? Contextual Barriers and Facilitators to Youth and Parent Participatory Action Research Projects in Schools – Wilhelm A, Bigelow M, Ortega L, Pergament S, Hang M, Allen M. Journal of Adolescent Health February 2018;62(2):S113-S114. Feasibility Results of a Participatory Teacher Professional Development Intervention to Promote Positive Youth Development for Somali, Latino, and Hmong Youth – Allen ML, Ortega LE, Cushing-Leubner J, Bigelow M, Pergament S, Hang M, Okuyemi K. Journal of Adolescent Health, 2016:58(2):S45. They just respect you for who you are: contributors to educator positive youth development promotion for Somali, Latino, and Hmong students – Allen ML, Rosas-Lee M, Ortega L, Hang M, Pergament S, Pratt R. J Prim Prev. 2016;37(1):71-86. Promoting resilience in diverse classrooms: The answers are not in the back of the book – Cushing-Leubner, J., Adam, K., Bigelow, M., Hang, M., Ortega, L., Pergament, S., Prifrel, R., Susens, S., & Allen, M. MinneTESOL Journal, spring issue. Barriers to early identification and access to services for children with autism: experiences of Somali, Hmong, and Latino families in Minnesota. LEND Brief: ASD and Culture – McAlpine DD, Egal M, Pergament S, Novillo W, Yang MK. Spring 2015: 21-25. Concept mapping as an approach to facilitate participatory intervention building. Progress in Community Health Partnerships – Allen, M. L., Shaleben-Boateng, D., Davey, C., Hang, M., & Pergament, S. (forthcoming). Winter 2015; 9 (4): 599-608. 2016 Feb; 37 (1): 71-86. The Hospice Stories Project, a collaboration between Minnesota Network of Hospice & Palliative Care (MNHPC), SoLaHmo Partnership for Health and Wellness (SoLaHmo) and ECHO, is building culturally relevant awareness around hospice care in Latino, Somali and Hmong communities in the Twin Cities. Hmong Radio Story: Hmong – English. The University of Minnesota Program in Health Disparities Research, PHDR Resources for Community-based Research, PHDR Resources Co-developed with SoLaHmo Partnership for Health & Wellness. Accessible here. • University of Minnesota CTSI Resources for Community-Engaged Research. Accessible here.